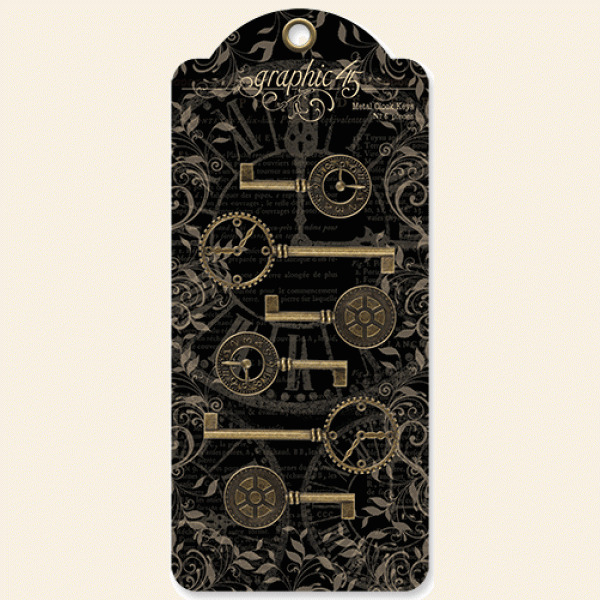 This package contains six (6) Metal decorated Clock Keys. Use them to embellish any of your craft projects. Product by Graphic 45. Look for other Graphic 45 Staples and Paper Collections.